Capturing the microscopic world of snowflakes takes a great amount of ingenuity and patience. 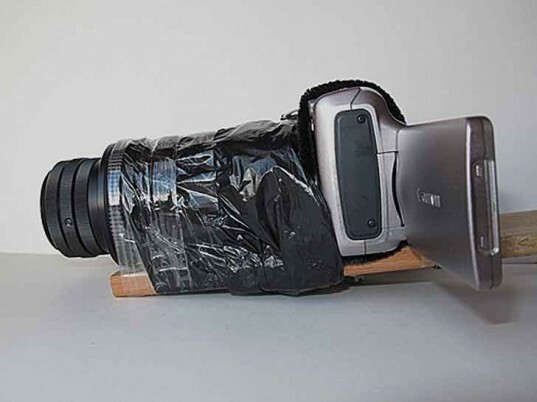 You might expect to find a pricey, high-end camera behind these images, but Russian photographer,Alexey Kljatov managed to take stunning pictures of the delicate crystals with a cheap Canon Powershot A650 that he inexpensively modified with a board, glass, tape, and screws. 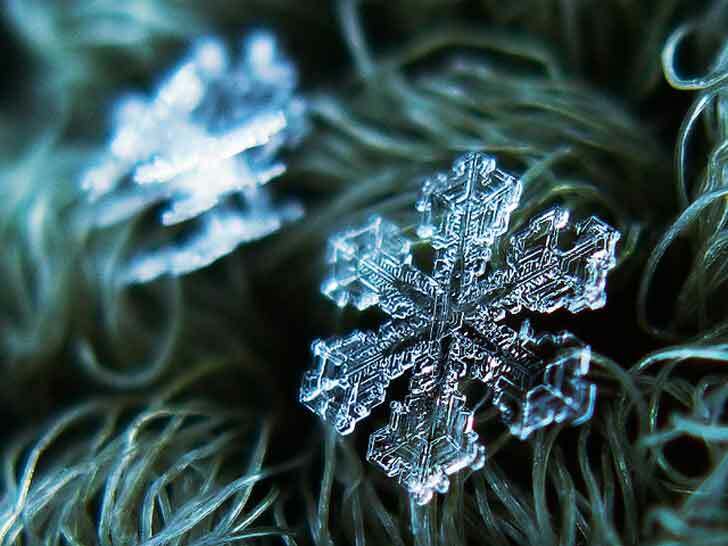 Kljatov used his DIY camera to take breathtakingly crisp photographs of snowflakes against different backgrounds. He uses either glass back-lit by an LED flashlight, or dark woolen fabrics to catch the crystals. Kljatov’s blog features selections from his 2009-2013 studies. He adds a little background color after the photo has been taken as most of the original images are monochromatic and “not appealing”. Following in the footsteps of famous snowflake photographer, Wilson Bentley, Kljatov exhibits some of the most spectacular phenomena nature has to offer. This is wonderful work, a heat robinson adaptation of a standard powershot? Amazing! Kljatov modified an inexpensive Canon Powershot A650 to capture his snowflake images. Kljatov uses dark, woolen fabrics to capture the crystals before they melt. Each crystal is a unique formation of frozen water. The flake is backlit by a LED flashlight shining through a glass plate. Kljatov follows in the footsteps of pioneer snowflake photographer, Wilson Bentley. Color is added to the background after the photo is taken to create a more visually appealing composition. Each photograph was taken on the open balcony outside of Kljatov's home. Kljatov's collection spans from his studies of snowflakes from 2009-2013.